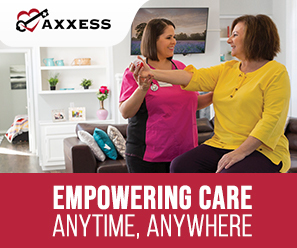 Every time home care agency owners gather, the conversation eventually turns to their number one problem, the shortage of in-home workers, from nurses and CNAs to the hard-working home care aides and homemakers. As the U.S. population ages, the staffing problem is expected to get worse instead of better, forcing providers to search desperately for creative ways to recruit and retain care workers and clinicians. We have reported on a few of those creative solutions but, at this week's Home Care 100 meeting in Scottsdale, Arizona, we found one that is as simple as it is innovative. We interviewed Jason Lee, CEO of "DailyPay," an investor-backed startup based in New York City. His company's software application, created by co-founder and CTO Rob Law, increases job satisfaction and improves retention by giving employees access to their earned income before payday if they need it. Lee told us that all DailyPay customers have reported increased employee retention, some over 40%. Employees of participating companies create an account in the DailyPay app. They give their bank routing number, account number, and employee ID to the secure, 256-bit encrypted app. Once approved, they can log in and transfer earned funds directly to their bank account as often as they choose. Only funds from hours they have already worked are available. Each transaction is charged a $2.99 fee for instant transfers or $1.25 for next-day transfers. There are no startup fees. The participating employer pays nothing and does not have to alter its payroll routine. "It works best with hourly employees," Lee told us, "but it can be used by salaried personnel as well, anyone who is paid by direct deposit. On the company's regular payday, when their electronic paycheck hits their bank, our system automatically deducts the amounts they accessed in advance. We cover the span; the employer does not have to have payroll funds in its account any sooner than it does now." He described significant advantages for people who live from paycheck to paycheck for low hourly wages, such as home care aides and personal care attendants. "Let's say payday is on a Friday and a person's rent is due on Monday. In ordinary circumstances, they pay their rent – or utilities, or car payment, etc. – on payday and suffer a late fee. Or worse, they use one of those payday loan services and pay the equivalent of 120% interest, or more. With DailyPay, they can transfer earned funds into their account and pay their bills on time, regardless of when their actual payday falls." Of course, he admitted, the $2.99 fee would be a burden if people actually used the service every day. But his data indicates that most people use it about once per week. DailyPay's account balance dashboard can be used as a budgeting tool to see one's real-time earnings. Users typically check their accumulating earned wages on average five times a week, but they elect to transfer only about once per week. Lee said this proves users are budgeting and planning for their financial benefit. "Eliminating late fees is as good as getting a raise," he laughed. Christian Horizons is a Senior Living facility in St. Louis, Missouri. The company had an ongoing problem with attrition, which created regular staffing gaps that detracted from care and hurt the company's reputation. After four months on DailyPay, 31% of staff opted in and turnover decreased 7.2%, a number that has continued to grow since the case study was conducted. Christian Horizons staff have been recruiting friends to apply for jobs because of the DailyPay program. DailyPay estimates that Christian Horizons, by the one-year mark, will have saved more than $531,240 due to reduced turnover and lowering its new-hire costs. Prior to signing with the program, Christian Horizons verified DailyPay's security and compliance, assured themselves DailyPay's support to their team was top-notch, and that their IT team would not be burdened. Since introducing the program, they have noticed no change to how they run payroll or to the timing of their tax withholding filings. DailyPay was founded in 2015 and is backed by several Silicon Valley investors. In addition to Christian Horizons, its clients include Healthcare Management Group, Care Indeed Home Care, ResCare, Senior Living Community, Stellar Senior Living and a longer list of companies outside the healthcare market. Based in New York City, DailyPay can be reached at dailypay.com.